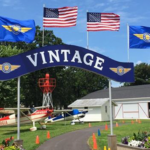 Welcome to the second edition of the EAA Vintage Aircraft Association’s Vintage AirMail e-Newsletter. I hope you are enjoying what we are offering here in these bi-monthly publications. 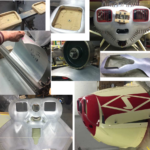 This month’s edition includes the return of the “Mystery Plane” that was previously a part of the Vintage Airplane magazine. So be sure to forward your answers as instructed in the article, and let’s get back to enjoying this fun piece. The clock is ticking down and Oshkosh 2013 is fast approaching. Now is the time to begin the process of preparing for your arrival at the world’s greatest aviation event. While we are all disappointed to hear that the Wittman Regional Airport control tower is to close in April, we have been assured that air traffic operations during the EAA Convention will not be adversely affected. 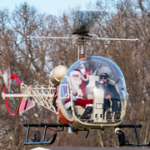 EAA’s vice president of advocacy and safety, Sean Elliott, recently reported that his group is continuing to work with FAA officials to ensure that the highest levels of safety and coordination are maintained when Wittman Regional Airport again becomes the world’s busiest airport during the annual EAA convention. 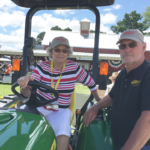 I thoroughly enjoyed Jack Pelton’s column in the April issue of Sport Aviation where he described the extensive value of our thousands of EAA volunteers who are virtually the backbone of the annual EAA convention in Oshkosh each year. 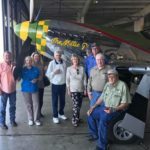 Jack stated that these greatly valued volunteers are “the” reason we are known as the “World’s premier aviation event” of the year, and I heartily join him in thanking these very generous individuals and the many generations of these volunteers by celebrating National Volunteer Week during April of each year. To these many EAAers who have accomplished so much over these 60 plus years of volunteering at this annual celebration of flight, I too offer my heartfelt thanks. When you see Jack at Oshkosh this year I suggest you pat him on the back and thank him for being a valued and dedicated volunteer as well. We have a lot of room on this site to include any number of items of advertising. So if you happen to know anyone who may be interested in advertising here or in our magazine please reach out and let us know. March 28, 2013 – Reaction to EAA Vintage Aircraft Association’s Round-Engine Rodeo plans at AirVenture 2013 has been extremely positive, according to Steve Krog, one of its main organizers of activities both in Oshkosh and at the preconvention staging area, Hartford Municipal Airport. Back by popular demand – The Mystery Airplane. Click here or on the image below for a larger image and to submit your solution to the mystery… Those who correctly identify the mystery plane will be announced in the next Vintage AirMail. It is amazing to me just how many so called “grassroots” airports there are around the country. Most of them focus on antique and classic airplanes. The dictionary refers to the word grassroot as being ordinary or common. It also mentions ordinary people. With that in mind, I would define a grassroot airport as one that is accessible to all people and one that is built by and staffed by people who really care about the origin of aviation and how to preserve aviation history. Building or restoring isn’t daunting as long as you have the basic skills and confidence to do it right. That’s where EAA’s SportAir Workshops are perfect. 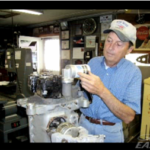 Master instructors help you discover your own abilities in a variety of aviation skills from welding to fabric covering.